The Mud Sucker Diaphragm Pump is expanding its presence across Malaysia with a wide variety of our Global pump products available in Kuala Lumpur, Kuala Terengganu, Kota Bharu, Ipoh, Kerteh and Dungun. Our diaphragm pumps have made great headway replacing older technology air operated double diaphragm pumps (AODD pumps) across the country due to increased attention on wasted energy consumption and reducing the carbon footprint. In fact, the Malaysian government have been encouraging business across the petroleum, chemicals and food processing industries to rethink the way they use energy and devise strategies to conserve energy. This directly impacts the fluid handling industry including pump technology. 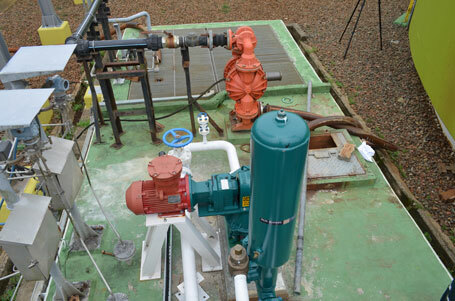 The Mud Sucker diaphragm pump uses mechanical diaphragm pump technology to transfer wastewater, oil sludge, petroleum waste, chemicals and food processing waste. Wastecorp manufactures the Mud Sucker using energy efficient motors and low emissions engines. One such case is Wastecorp’s involvement with Petronas’s wastewater treatment operations at their oil and gas refineries. The photos you see here picture the Mud Sucker next to the AODD pumps the treatment plant has traditionally been using. Now, Petronas or Petroliam Nasional Berhad, is vested with the entire oil and gas resources in Malaysia and ranks in the top 100 largest companies in the world. 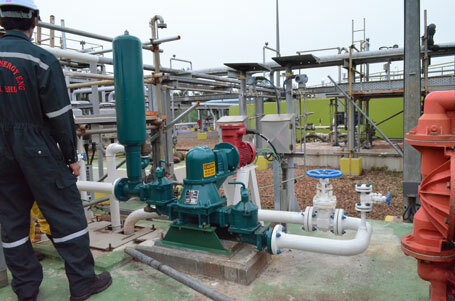 When Petronas came to Wastecorp with their wastewater treatment requirments they were under the impression that AODD pumps were the only diaphragm pump available for their application. 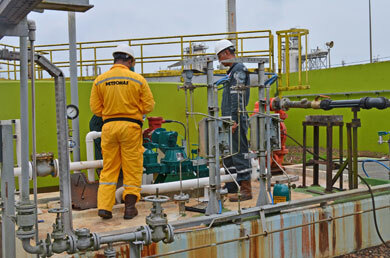 Petronas didn’t even know that an alternative Mud Sucker Diaphragm Pump technology existed. 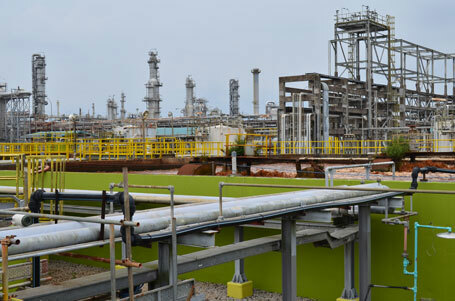 The Mud Sucker pumps are put to work at some of Petronas’s refineries to pump all sorts of wastewater including oil slurry, wastewater and muddy type slurry. For many of these applications the Mud Sucker 3B Series with check ball engineering takes slurry and solids and makes it more productive to transfer by diverting these fluids to the Mud Sucker’s exclusive contoured velocity channel. The chances for clogging are reduced because the check balls help to mash up solids. Check out some of our Malaysian pump installation photos and contact Wastecorp about the availability of Mud Sucker Diaphragm Pumps in your area.